#Microsoft365 #Office365 #MicrosoftTeams Here’s a quick one to help you configure your tenant to allow Guest Access to Microsoft Teams – in under a minute. “The new Microsoft Teams & Skype for Business Admin Center is coming soon! Starting in March 2018, we’re gradually migrating settings to it from both the current Skype for Business admin center and the Microsoft Teams experience in the Office 365 admin center. If a setting has been migrated, you’ll see a notification in the current admin centers and then be directed to the setting’s location in the new Microsoft Teams & Skype for Business Admin Center. 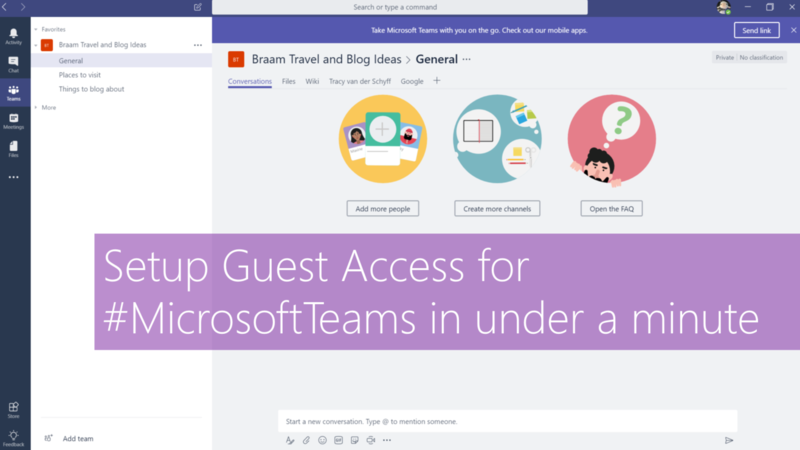 As the Office 365 admin, you must enable the guest feature before you or your organization’s users (specifically, team owners) can add guests. Take note of above release of the Microsoft Teams and Skype for Business Admin Center coming soon – which will change this “how-to”.